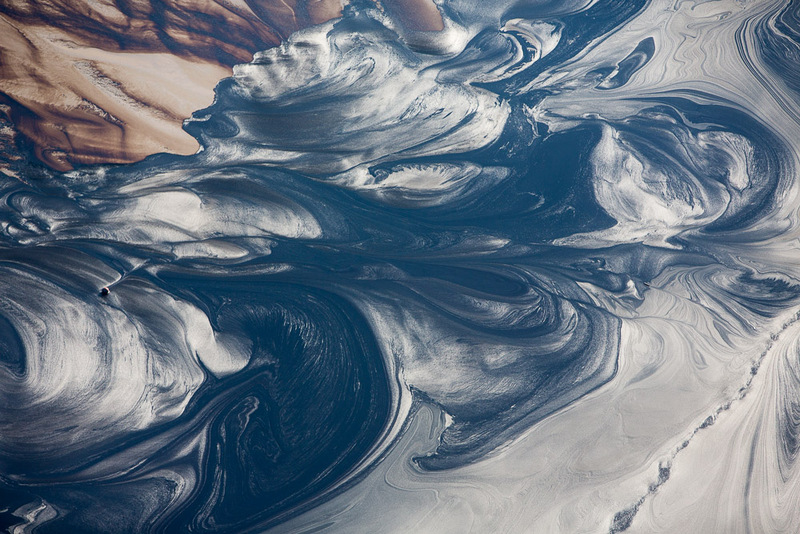 The artist and aviator Alex MacLean has spent several years capturing the changing landscapes across North America on camera, and persistently denounces the many "ecological absurdities" that mark our day and age. He endeavours to shed light on what we can't, or refuse, to see, “what we look at without understanding, and especially the ties that govern the spaces between the natural and constructed environments”. His pictures reveal “the effects of time, geological movements, shifting landscapes, urban sprawl, redeployment and the overlapping of surfaces and activities”. He is also unwavering in his portrayals of the damage that industry inflicts on the earth and the steady destruction of beautiful landscapes. Paradoxically breathtaking in their beauty, his photos condemn examples of irresponsible land abuse by human industry: open-air quarries or oil fields, the reckless excessiveness of which the photographer brings sharply to the fore in his aerial shots.